Freckles and Flowers: Let us not forget! I had a very interesting day today and it has really made me think. A whole jumble of thoughts about all kinds of things. I went to a day care centre to teach some crafts to the clients for a day but I didn't really know in advance who I would be teaching. Luckily I took my usual kit and caboodle with me and very luckily I can think on the run. I thought I'd be teaching mainly ladies who were Carers to do some arty stuff just for fun and to have some creative time for themselves. Instead it was a group of very elderly gentlemen with dementia! As I looked around the room and was deciding what to do, I was wondering what their abilities would be and what I could do to make them happy. After discussing it with their wonderful support workers I decided that we would use the Sizzix Bigshot machines and lovely patterned and plain card that I had brought and that we would make little simple memory books. The Die cutting machines make this so easy because they just had to turn a handle and the beautiful shapes were produced. And all men,of all ages LOVE a gadget! We folded plain card into little books and stitched the pages together with organza ribbon. The fellas chose their favourite colours for the ribbons and they enjoyed having choices about how their book would look. We then let them cut out the decorations for the front cover of their book and help with adding texture and a name plate. They were all able to write their own names. I then went to each of them in turn and we talked about their memories. What an amazing experience FOR ME! Each one of them had lived a pretty spectacular life! As I looked at them, I was thinking that nobody would know what fantastic human beings these are! One was a nurse in the Army. He joined when he was just 18 and had been trained by them. He wore a blazer with a badge that stood for Honour and Truth and had spent his whole life living that message. He had travelled the world and seen amazing things and tragic things and had stories to tell. Another was a Doctor of Science and had been an advisor to all of Europe on Government policy. One was a fantastic sportsman and had played Cricket at Lords and sparred at boxing with Henry Cooper! There was a London Cabbie whose mind still probably had the Knowledge! and a Brickie who had worked in Australia and NZ and could still tell me all about the zillions of ways to make bonds with bricks! We wrote their stories in the little books. They turned from a little craft project into precious pieces of personal history. My jumble of thoughts were all about how these wonderful men were sitting quietly with their own thoughts and imperfect memories and that as I had first looked at them I had no idea of their stories. Stories that will be lost in the mists of time unless we make time to talk to our precious older generations. It was a privilege to spend my day there today. I will be training the care workers soon on making Memory Books and using arty ways to save those memories so that their clients have a personalised book to aid their memories and their families will have a record of the lives of their precious people. What a wonderful experience, and how they must have loved to make their memory books. 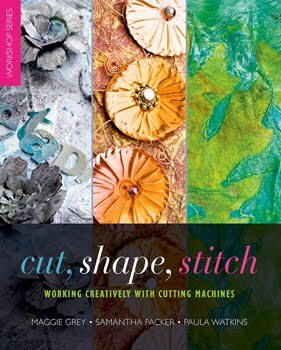 Well done you, Well done with THE BOOK as well, will see you at the quilt show.